Luckily for anyone with high cholesterol, scientists have been studying how to lower cholesterol naturally. As we previously discussed in Good Cholesterol Levels and About Cholesterol, cholesterol is a naturally occurring product of normal physiology. However, too much of it, especially too much oxidized cholesterol can wreak havoc on our cardiovascular system. Many herbal remedies have been tested for naturally lowering cholesterol, and according to a 2010 review of the literature by S Hasani-Ranjbar et al, 22 herbs show promise. Many of the research to-date, however, has been preliminary or inconclusive. Here is what the science says about how to lower cholesterol naturally. Included are ways to naturally lower “bad” LDL cholesterol, increase “good” HDL cholesterol, and/or reduce inflammatory oxidized cholesterol. Niacin for cholesterol is a tried and true way of lowering bad cholesterol and raising good cholesterol ever since Altschul reported its effects in 1955. Over-the-counter niacin (vitamin B3) varies in its potency, and therefore, its effectiveness. It is advised that patients work with their physician using prescription niacin, or specific high-quality brands for full effect. Typical dosages are between 1-6g daily – yet another reason to work with a physician. Niacin can cause unpleasant “flushing” side-effects in some people that often diminish with time. While fish oil is not necessarily the go-to supplement to lower cholesterol naturally, it does decrease triglycerides and offers many protective benefits for the cardiovascular system. Fish oil appears to protect the cardiovascular system by reducing arrhythmias, inflammatory markers, and cell adhesion molecules – all important components of heart disease (reviews by HT Ong et al, 2008 Chinese Medical Journal; and D Bester et al, 2010, Nutrition Research Reviews). The current recommendation is for adults is to consume at least 1g of combined EPA and DHA daily. 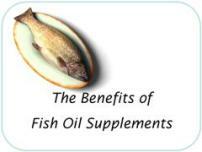 Read more about the benefits of fish oil. Red Yeast Rice is possibly one of the latest and greatest ways how to lower cholesterol naturally. A review by L Badimon et al, in Cardiovascular Therapeutics found that 93 trials using 3 different commercially available preparations of red yeast rice consistently showed reductions in total cholesterol, LDL cholesterol, triglycerides, and an increase in HDL cholesterol. The most promising effects were shown with 600mg of Xuezhikang (a brand of red yeast rice) taken twice daily over 4½ years. Red yeast rice has comparable effects on LDL cholesterol as pravastatin, a statin drug, even in people who were previously found to be intolerant of statin drugs. Since some preparations of red yeast rice may contain toxic byproducts of the fermentation process, it is important to use only high-quality brands. A 3-week study all the way back in 1977, by RM Kay, et al, showed that apple pectin supplemented at 15mg/day lead to an average 13% decrease in cholesterol levels, which is comparable to the results seen with some statin drugs. More recently, a 1999 study by L Brown et al, showed that pectin combined with dietary changes was an effective way of reducing total cholesterol and LDL cholesterol, instead of cardiovascular drugs. 2-10g of soluble fiber per day was effective at lowering cholesterol. Read more about foods to lower cholesterol. Antioxidant juices seem to be more effective in lowering cholesterol naturally, and preventing cardiovascular disease than individual antioxidant vitamin supplements (with the possible exception of Vitamin E tocotrienols). This suggests that the polyphenols and other components of antioxidant foods act synergistically to improve cholesterol levels and blood vessel health. Long-term use of pomegranate juice for 18 and 36 months slowed the progression of blood vessel thickening, and reduced LDL oxidation, according to a 2004 study by M Aviram et al, and a 2009 study by MH Davidson et al. 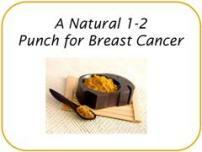 500mg of curcumin per day for 7 days was shown to decrease serum cholesterol and triglyceride levels in healthy people. This trial published in the July 2011, issue of Phytotherapy Research, was short, leaving plenty of room for additional studies on long-term effects, and effects in non-healthy individuals. Vitamin E supplementation has shown conflicting results in scientific studies on cardiovascular health. 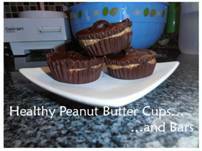 As a result, it has fallen out of popularity as an option for how to lower cholesterol naturally. 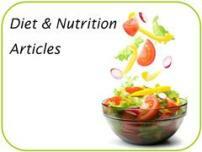 However, a study published this year in Nutrition and Metabolism suggests that tocotrienols may be the missing factor. In this study, by SF Chin et al, test subjects took 160mg of Tri-E Tocotrienol (a name-brand tocotrienol) after dinner each day. After six months, subjects showed an increase in HDL cholesterol and an improvement in their HDL:total cholesterol ratio. So while generic Vitamin E supplementation is not advised for those with high cholesterol, a tocotrienol formulation (the one used in this study consisted of 74% tocotrienol to 26% tocopherol) may be the way to go. A 2011 review of the research on exercise and lipid profiles in BMC Medicine confirms that aerobic exercise consistently lowers total cholesterol by an average of 7.5%; triglyceride levels an average of 18.2%, and LDL cholesterol an average of 7.2%. Exercise in these studies included a wide range of aerobic exercise regimens: 2-5 times each week for 30-60 minutes each, with a heart rate between 50-80%. High consumption of fruits and vegetables - foods that naturally contain fiber in its whole form - is associated with decreased risks of cardiovascular disease, including coronary heart disease, stroke, and peripheral vascular disorders, according to “Nutraceuticals and Atherosclerosis: Human Trials” by L Badimon, et al. In fact, in The American Journal of Cardiology, HR Ferdowsian et al, reviewed multiple experiments in which participants were fed a vegan, vegetarian, or ovolactovegetarian diet. Plant-based diets consistently improved total cholesterol and LDL cholesterol levels. The consistent results, and an affordable pricetag make plant-based diets a great option for how to lower cholesterol naturally. Read more about foods to help lower cholesterol.